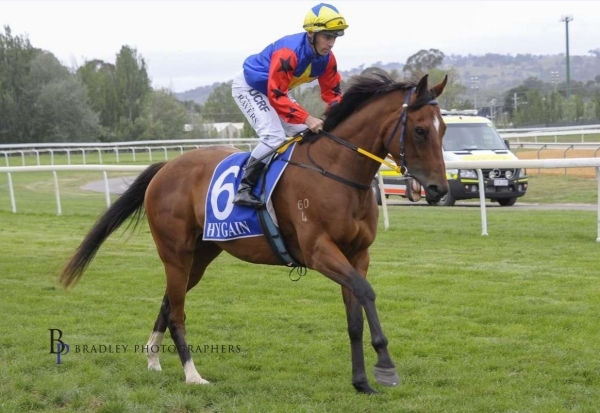 This well put together gelding has only had 11 starts in NSW up against quality opposition. He was just beaten at Gundagai over 1180ms, and he seems to do his best work when he races up towards the speed. He is Trained in a tough area just off Sydney provincial's down in Goulburn, drop him him back a grade and watch him excel! Please note: he received a barrier warning 07/04 as they didn't give him much of a chance to load, he will have to trial in front of the stewards before continuing on with his prep. WALKING OR DANCING (NZ) (Brown 2004-Stud 2011). 8 wins-1 at 2-from 900m to 1600m, Newcastle JC Newmarket H., Gr.3. Half-brother to SW Irongail. Sire of 49 rnrs, 22 wnrs, inc. Bare Naked Lady, Silent General, National Trail, Baby Merlin, Mbwali, My Happy Place, Solid Asset, Circus Dancer, D'Great Spirit, Happiness Rose, Laughing or Crying, Walshie, Cultural Man, Hightower, Rock 'n' Rhumba, Silent Dream, With Attitude, Hard Reality, etc. Heza Jetsetter (g. by Jet Spur). 4 wins from 1200m to 1600m, A$191,450, BRC Fonterra Foods & Bidvest H., DGL H., St Margaret's Girls School H., 2d BRC Yellowglen H., Brisclean H., 3d BRC Vo Rogue P., Gr.3, Brand & Slater Architects H., Ascend Sales Brisbane Bloodstock Bonus 2YO P.
Miss Bradbury (f. by Bradbury's Luck). 5 wins to 1400m, A$117,550, BRC Ascend Sales H., Ipswich TC Yalumba H., 2d BRC BERT & CIPQ H., Channel Seven H., Patinack Farm H., 3d BRC Mount Franklin Sparkling H., Ormiston College H., SITA Australia H.
Red Lago (g. by Red Element). 3 wins from 2100m to 2400m, 3d ATC Tab.com.au H.
Sheza Falvelon (f. by Falvelon). 2 wins at 1050m, 1100m in Aust. Zymurgy (g. by Falvelon). 2 wins at 1300m, 1350m in Aust. Fast Talking (g. by Walking or Dancing). See below. LIANG XIN (Lion Cavern). 5 wins from 1100m to 1600m, 545,518Rgt. in Malaysia, Perak TC Sultan Gold Vase, L, 2d Selangor TC Malayan Racing Association Cup, Sports Toto Trophy, Perak TC Class 1 H., 3d Penang TC Astro Wah Lai Toi Sprint Trophy, L, Perak TC Sultan Gold Vase, L, Selangor TC Sports Toto Trophy, Dato Ronald Khoo Teng Swee Trophy, Perak TC Class 1 H.
Falvelon's Dream (Falvelon). 5 wins to 1250m, A$223,220, SAJC Patricks & Dunes H., Joe Cannizzaro H., Adelaide T&E Centre H., Master Builders H., 2d SAJC Pewsey Vale S., L, MVRC TEAC Flashback LCD H., MRC Paula Matlock H., SAJC Mick Dermody Memorial Flying H., Myer Fashions on the Field H., Hardys H., Irish Day August 22 H., Book for Melbourne Cup H., 3d MVRC NHP Electrical H., Sphinx Hotel H., SAJC Allan Scott Park Flying H., Myer Fashions on the Field H.
ESTRATO - POWER OF LEE (Mal.) (Stratum). 5 wins-2 at 2-from 800m to 1600m, NZ$126,560, 35,145Rgt., Waikato RC Star Way S., L, Counties RC Franklin Long Roofing Ltd H., Hawkes Bay Per Incanto at LA Stud H., 2d Waikato RC White Bros Panelworks H., Selangor TC Carlsberg Cup, Hawkes Bay Stella Artois H., Waikato RC ZM 89.8 H., Veyron H., 3d WRC Anniversary H., L, Waikato RC Skycity Hamilton Casino Cup, 4th ARC Eagle Technology S., Gr.3, CJC Welcome S., L.
Reann's Diamond. 8 wins from 1200m to 2100m, A$128,245, to 2018-19, TRC Luxbet H., TTC TAB H., Winning Edge H., Ultimate Sporting Club Challenge H., TRC Hobart RSL Centenary H., Carlton Draught H., 2d TRC Tasracing.com.au H., TTC Hesketh McCrimmon Insurance H., Leger Lawn Marquee H., Gary Wilson H., Newmarket on 18th November H., National Apprentice Series H., Tasmanian Livestock Services H., 3d TTC Anzac Eve Race Meeting H.
Multizone. 4 wins at 1100m, 1200m, A$95,580, to 2017-18, ATC Tab.com.au P., 2d ATC Pro-Ride 2YO H.
Race Record: 11 Starts 0-1-0 A$8,585. 13/Jun/2017 8th of 9 --trial--ATC Barrier Trial, 900m. Royal Casino was 1st and Blazeray 2nd and Tony's Reward 3rd. 26/Jun/2017 9th of 9 --trial--ATC Barrier Trial, 900m. Addictive Nature was 1st and Colesberg 2nd and Han Xin 3rd. 04/Jul/2017 5th of 9 --trial--ATC Barrier Trial, 900m. Beacon was 1st and Milanese Girl 2nd and Augustus 3rd. 24/Nov/2017 4th of 6 --trial--ATC Barrier Trial, 901m. Aboukir Bay was 1st and Campaign 2nd and Psittacine 3rd. 08/Dec/2017 7th of 8 --trial--ATC Barrier Trial, 1030m. Devil's Luck was 1st and Auchentoman 2nd and My Song 3rd. 27/May/2018 4th of 4 --trial--Goulburn DRC Barrier Trial, 800m. Elsie's Magicdance was 1st and Polyxena 2nd and Sentein 3rd. 05/Jun/2018 2nd of 9 --trial--Goulburn DRC Barrier Trial, 800m. Moralist was 1st and Shady Story 3rd.